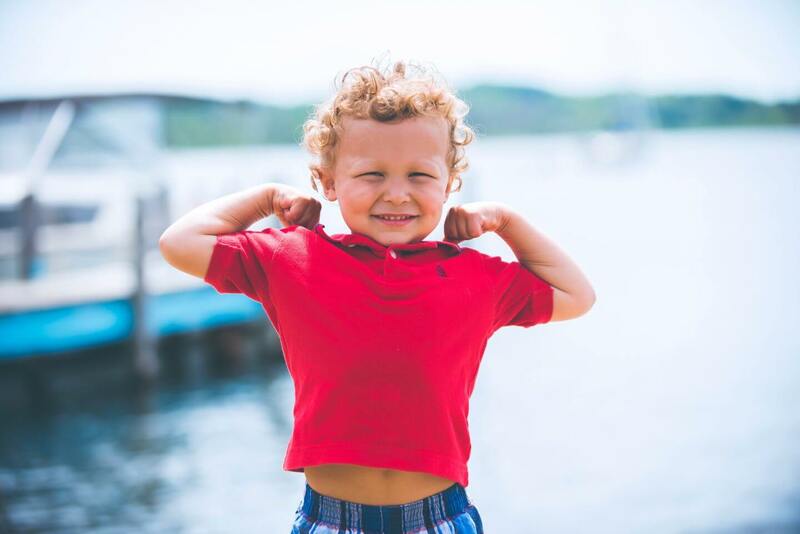 Crossfit Kids: Just as strong as mommy! Recently, my eldest son, just like me, is doing CrossFit. He is eleven years old and is in group 8. Martijn is very sporty and he is a fanatical keeper at the local football club. To improve his mobility, strength, speed and stamina, he started CrossFit Kids with CrossFit Arsenius two months ago. This is apparently a good combination with football. CrossFit Kids is based on Greg Glassman’s CrossFit program and has been developed for children aged three to twelve. The focus is on good movement during the child and puberty. The program also ensures more self-confidence, it teaches them to work together and, most importantly, to have fun! The latter works very well. Martijn has now introduced several children from his class to the lessons and they are making a weekly outing. CrossFit Kids is super good for children because of the great demand for discipline. It goes from weightlifting to gymnastics. Children’s brains are like small sponges, they are eager to make neurological connections and adjustments. These connections in the brain come in response to stimuli. The more children are exposed to all kinds of things when they are young, the more neurological connections they can develop and retain for the rest of their lives. In addition, the program in combination with a healthy lifestyle can provide various benefits, such as: stronger muscles and bones, a healthier body composition, less chance of being overweight, less risk of developing type 2 diabetes and healthier blood pressure and cholesterol levels. CrossFit is comparable to other sports in terms of emotional development. In the program they work with children on sportsmanship, leadership, teamwork, listening skills, self-discipline and manners. These are all mental skills that will help children in their development. In addition, there is a noticeable difference in self-confidence between children who do or do not participate in CrossFit. As the bodies of children become fitter and they expand their abilities, children become more active and less insecure in other athletic situations. Do you remember what you liked most about gym? Most will say monkey cages! CrossFit Kids looks a bit like that. The children train in a functional way and use many variations of gymnastics, weightlifting and various endurance sports. Think of, for example, climbing, rope climbing, imprints, handstands, walking on hands, ring work, lifting and moving weights ergonomically, running, jumping, throwing, pushing, pulling and so on. CrossFit Kids therefore has a high level of play. In addition, they can compete with each other, individually or in teams which makes the weather extra exciting. See Another Blog: 7 reasons to do some sports in the rain.